Hanover - Hannover 96 can extend their winning streak to three successive games on Saturday when they host an off-colour Eintracht Frankfurt side that has not tasted victory in six weeks (kick-off 15:30 CEST/13:30 GMT). 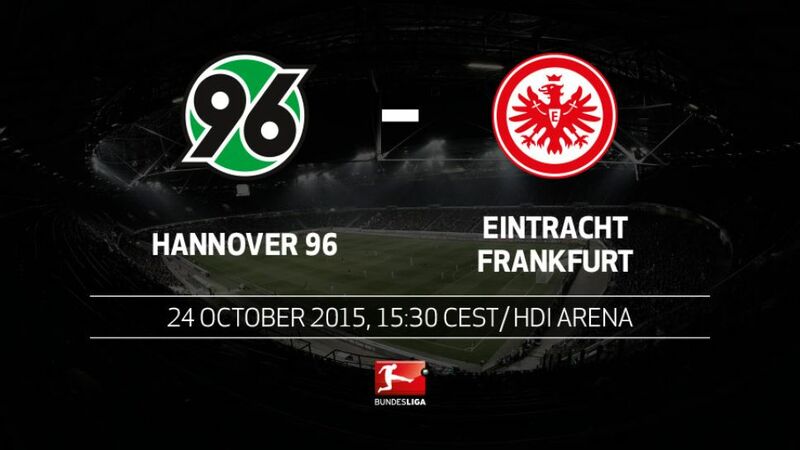 Hannover go into this game on the back of a two-game winning run They haven't yet won three consecutive league matches in 2015.For the first time in two months, Hannover do not occupy one of the bottom three places in the standings.Frankfurt are currently on a five-game winless streak.On average, Frankfurt attacker Alex Meier has scored a goal every 108 minutes this term. That means he is even better than last season when he finished as Bundesliga top scorer with an average of a goal every 116 minutes. World Cup winner Ron-Robert Zieler has kept a clean sheet in his last two games in Hannover's goal.If Zieler plays it will be his 152nd consecutive Bundesliga outing, meaning he would equal a club record set by Hans-Josef Hellingrath.